I’m getting behind in my Rosi posts, and this one is out of order. 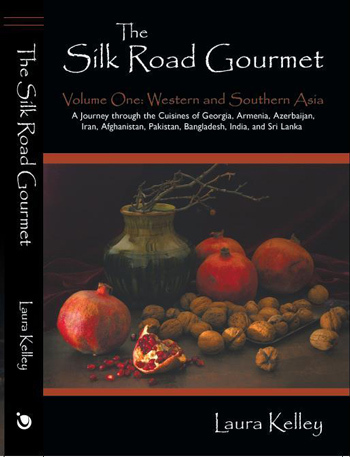 But I wanted to write this now, to give you right now a glimpse of Laura Kelley’s fabulous new cookbook, The Silk Road Gourmet (available soon through Amazon and Barnes & Noble; have a look at Laura’s website for further details). I’ve known this was coming for quite some time; I’m a regular reader of The Silk Road Gourmet blog. So perhaps I should have been better prepared for the 402-page pdf that appeared in my inbox when Laura asked me to review the book. Massive! And what a delight. Volume One (there will be three in all) covers an extensive journey through Western and Southern Asia: Georgia, Armenia, Azerbaijan, Iran, Afghanistan, Pakistan, Bangladesh, India and Sri Lanka. This is what thrills me most: when I page through this book, I find flavor combinations and recipes from numerous regions with which I’m completely unfamiliar…. and yet these foods make perfect sense to me. 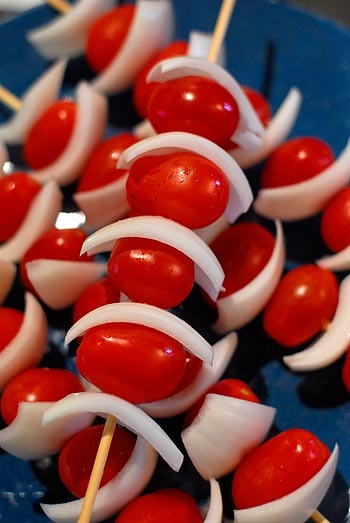 These recipes reflect a long history of mingling. 1. Slice the eggplant crosswise into 1/2-inch slices. Place onto sprayed or oiled baking sheet and bake in 375-degree oven for 15-20 minutes or until nearly, but not quite, done. Remove from oven and let them cool. 2. Pour the tomato sauce into a saute pan and heat. Add drained yogurt (chaka) and white vinegar as the sauce heats. When hot, add salt, pepper, chile, cinnamon, and mint (this threw me for a little loop, as the ingredient list didn’t mention cinnamon but it did call for coriander. I added coriander and a pinch of cinnamon). Cook 2-3 minutes, add beef broth and the undrained yogurt, and simmer over low heat for 15 minutes to give the flavors a chance to blend. 1. In a blender, combine the cilantro and vinegar or lemon juice. 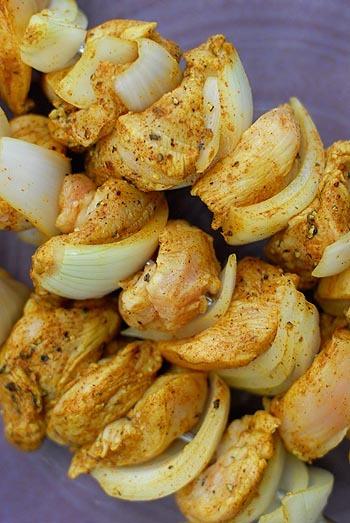 When the cilantro and vinegar or lemon juice has become a smooth paste, add walnuts, cumin, chile peppers, and garlic and blend again until the walnuts are integrated. (If necessary, add a bit more water to blend the walnuts.) Then add pepper and salt and blend well so that spices are well distributed throughout the puree. *NOTE: No picture of Rosi this time. She was NOT in the mood to sit for a portrait. Yum, yum, yum! Looking forward to acquiring the cookbook and trying those recipes. The ones you show here are very Sephardic. I’m glad you liked the dishes you cooked and will continue to read and cook as mood and interest suit you! P.S. The typos you encountered in the eggplant recipe have all been corrected in the final edition (I hope). JRR, I think this book would go well in your California kitchen! Laura, I’ll be cooking a lot more from Silk Road Gourmet, definitely. Thanks for the creative inspiration. 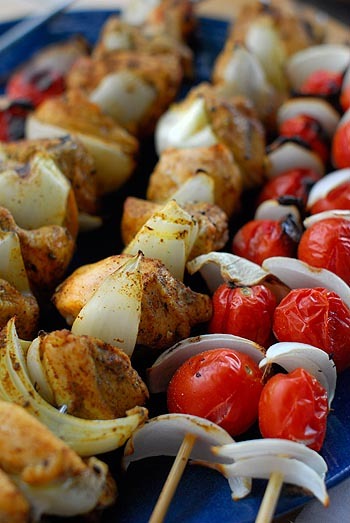 I’m looking for some great recipes from Azerbaijan for this week’s Global Table. Are any of these recipes from there? I do have some options from “Please to the Table,” but thought it would be fun to try something from this cookbook. I probably don’t have time to order it before needing it.. and my local B&N doesn’t have it. You can also contact Laura Kelley directly through her website. She’s very reachable and informative–a great source.